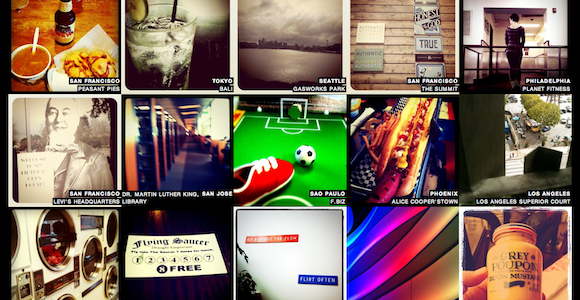 With over 30 million users and counting, Instagram has undoubtedly become a worldwide photo-sharing sensation. Since its creation back in 2010 and now under the ownership of Facebook, it’s one application that continues to either make eyes roll and others drool. There’s no doubt people have an eternal love-hate relationship with Instagram. That’s why for this post, I took the liberty of jotting down the reasons why you love and hate it so much. Nowadays, anybody can call himself or herself a photographer. All you need is a random photo, a filter that will go along with it and within a few clicks, Voila! You have an instant, seemingly “creative” shot that can practically imitate any other genuinely processed photograph. It’s particularly offensive for those who practice manual labor to produce their photographs. There are the savvy film-camera aficionados and there are the Photoshop loyalists. Considering the shoot-filter-post mechanics of this application, the appearance is almost exactly the same— which makes it very insulting on the part of the hard worker. It makes the useless appear significant. Instagram makes the unimportant important which lets people waste away their days taking random photographs, thinking it’s going to make the world a better place. It eats up a lot of data allowance. If you’re not using Wi-Fi to access Instagram, you’ll be surprised as to how much data it can consume. So if you’re one who’s totally addicted to it, expect your phone bill to be quite a pain in the pocket. Instagram is a free application that allows for easy sharing among users. When we have a friend that’s overseas whom we haven’t seen for a while, we can easily be updated of their whereabouts. We get to see things and places through their eyes. It takes you back as a kid, somehow. The intent of Instagram is to make everything appear nostalgic— which we need in times of stress and troubles. There are certain images that can help us remember the better times in life when we didn’t practically care about anything. Whether we admit it or not, some of the Instagram-produced photos we see make us smile. It makes us want to be better. Instagram can influence people to be more curious when it comes to taking photographs. There are those who heard about the application but decided on going for buying $25 film cameras to experience genuine photography. Moreover, it made people want to become better in editing their photographs to make it even more creative— one that can’t be done in a few clicks. What are your thoughts on Instagram? Yay or nay? Samantha Nicole Samonte is a Content Specialist for Webcada, a Web Design company in Singapore.